Dr. Syb always seems to be in the mix. She's a multimedia maven with multiple personalities. 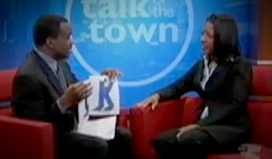 She reaches and teaches the masses speaking, teaching, acting and reporting. You might say she's a "star." Dr. Syb shines her spotlight on opportunities stressing the importance of multiple revenue streams, having a flexible mindset and living life with a passion. 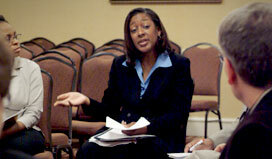 Visit the Multimedia Maven Blog! Dr. Bennett is a new media maven who has attended convergence seminars at the Poynter Institute in St. Petersburg, Florida; the Ifra Newsplex in Columbia, South Carolina and the master digital storytelling seminar hosted by the American Press Institute. Filled with positive words from A-mazing to Z-ippy, this edition encourages children to learn their letters and feel good about themselves. 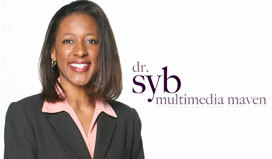 Keep up with Dr. Syb as she travels the country on her Multi Media Mission!